OK... she was not born Gram Good... that is no name to give a baby girl! But if you lived in the Richmond, Pennsylvania area in the 1950's, 60's or 70's you knew her as Gram Good. She is remembered in the community of Richmond as "Gram Good", by everyone who knew her. 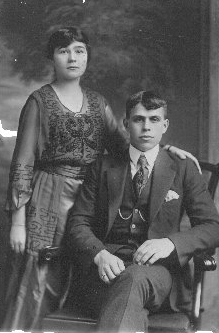 Her given name was Edna May Frey, daughter of Isaac and Mary Alice Fangboner Frey and she was the beloved grandmother of my husband Ron. Everyday she could be found behind the counter of the Richmond General Store where she had a cheery greeting for all who entered. She loved to keep up with the news of the community and could be counted on to know the latest gossip. Every kid who came through that door knew she would give them a piece of candy from the candy counter. Gram was a short, stout woman who almost disappeared behind the wheel of her green, 1965 Chevy. We still laugh when we think of Gram tooting her horn as she drove by and all you could see was the top of her hat! She drove to Easton regularly to pick up merchandise for the store and spend the day shopping. Gram Good loved to shop and always came home with a little something for her kids and grandkids. Every evening Gram enjoyed stopping by someone’s house for a visit or having someone stop by to visit her. She probably was the first Good to earn the nickname "Go Go Good"; she liked to be going somewhere all the time. She just may have been the first lady in her family to learn to drive a car! Edna Frey married Earl Sanford Good, son of George and Lillie May Deats Good on December 18, 1921, at the age of seventeen. They became the parents of five children. Their first, Dorothy Alice, was born in 1925, followed by Miriam Mae in 1927 and Edna Marie in 1929. Alfred Earl arrived in 1933 and when Edna was 37 years old her last child, George Arthur was born in 1942. 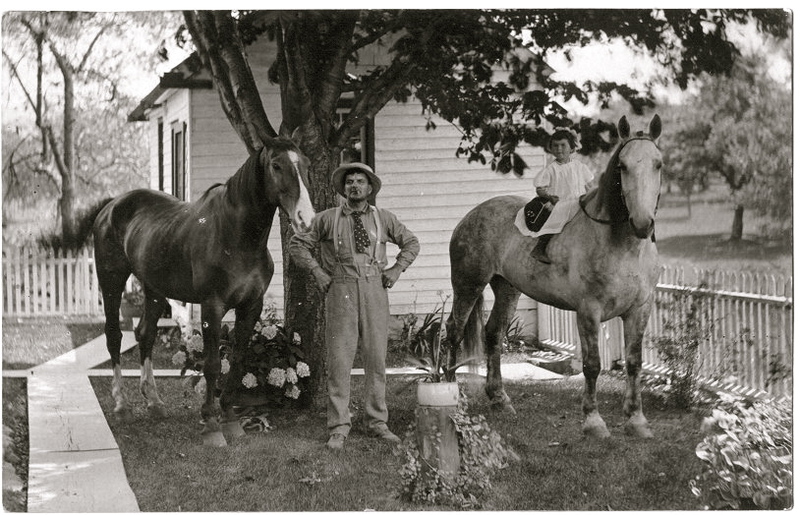 Edna began her married life on a small farm on the Belvedere - Martins Creek Road in an area known to the locals as Frytown. 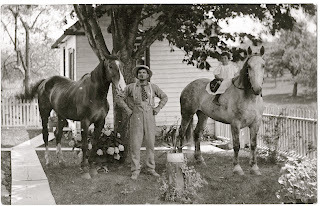 Earl had a small dairy, but spent a lot of time dealing and trading in horses. Edna was busy raising the kids. 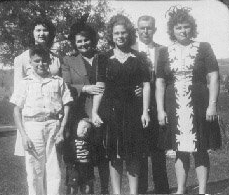 Here is a photo of Edna and Earl with their five kids about 1944. 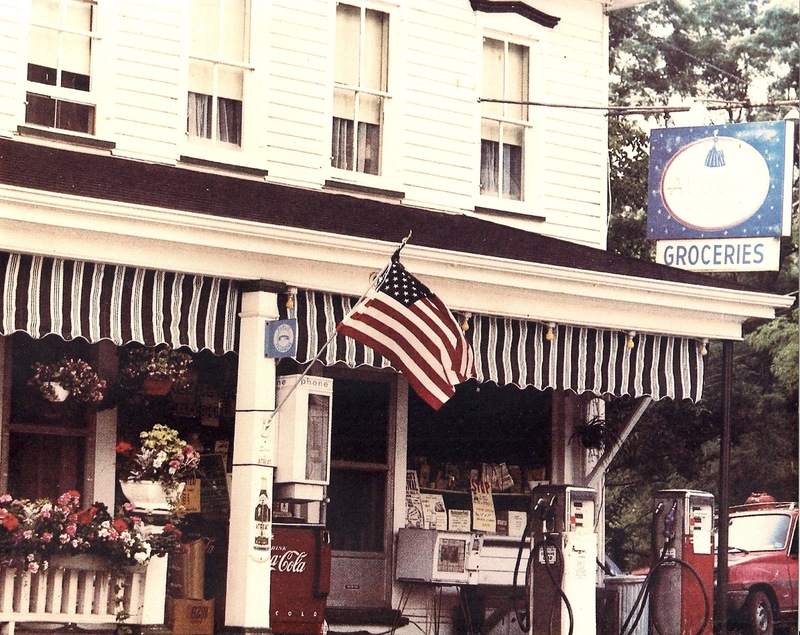 Earl sold the farm about 1945 and bought the Richmond General Store in Richmond, Pennsylvania. 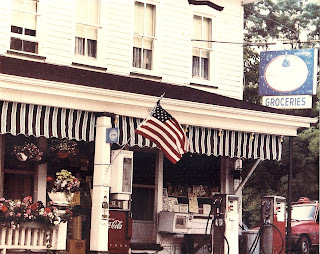 From that time forward Edna operated and managed the store while Earl worked for the Portland Cement Mill and the Lehigh Cement Mill at Martins Creek, Pennsylvania. Edna May Frey was born March 20, 1905. Growing up in the vicinity of both sets of grandparents, little Edna enjoyed the spoils of both her parents and grandparents. Being the only child of an only child, Edna was the only grandchild on the Frey side and the youngest of 4 grandchildren on the Fangboner side, so she soon became everyone's darling. Just maybe that is why she took such delight in spoiling her own grandkids! Baby Edna with her mother Mary "Alice"
Edna and Earl were married 49 years when he passed away on March 17, 1971. Gram Good lived to be 74 years old. She died on December 8, 1979. They are buried at the Three Church Hill Cemetery in Lower Mount Bethel, Pennsylvania. Growing up I remember going into this store. What a great story. 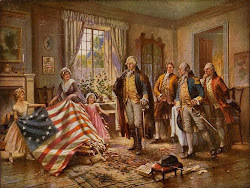 Thanks for sharing love to read about local history.